Ever since I was a child trapped inside by the pouring rain as the remnants of Camille passed over East Tennessee, I have been fascinated by hurricanes. With that in mind, this book was hard to resist. Especially since I had spent many hours watching Dr. Sheets on television. It is pretty obvious though that Jack Williams did most of the writing and for those of us who are not that familiar with the science of meteorology that is a very good thing for this is a very complicated subject and dumbing down is exactly what I needed. 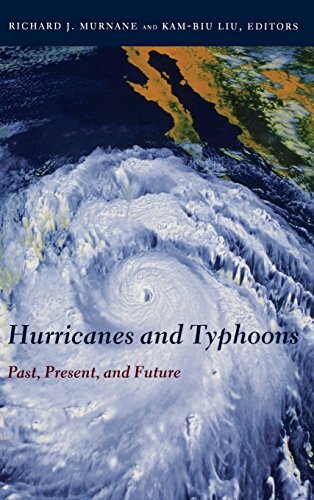 This book is not so much a book about major hurricanes as it is a history of the predicting of hurricanes. 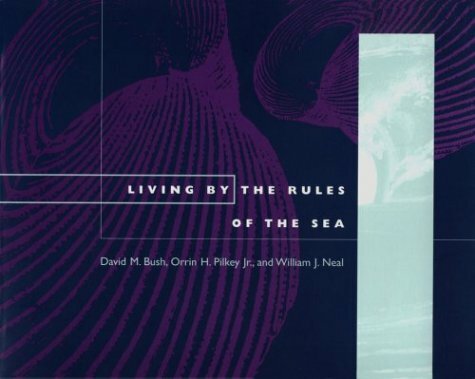 From Columbus to the present satellites and Doppler systems this book tells the story of man's attempts to guess what Mother Nature is up to. There is even a chapter about attempts to actually control hurricanes. Even with the simple way the authors attempted to tell their story I was lost at times but not all too often. For a trained meteorologist this book would probably seem almost childish, but for the average person like myself it is just about right. I still don't completely understand everything about wind sheer, computer models, and latent heat but I am at least familiar with the terms now. From now on, as a hurricane approaches the U.S. coast and I sit there in front of the TV I will have a vague idea of how the computer models work and will know all about the Bermuda high. I live on the coast and have been interested in hurricanes since I was a child. I'm no meteorologist - just a person who wanted to learn more. This book was interesting. I especially enjoyed the chapter which talked about Project Stormfury and the one on Hurricane Andrew. If you believe that a Computer projection of Hurricane's behavior is better than human evaluation,then this is your book.Jack Williams of USA TODAY gives us a dumbed down version of science that his newspaper specializes in.Want a terrible sounding MEOW?Well, a computer can do it for you without any reference for historical record.I recommend reading Dunn's ATLANTIC HURRICANES or even Hearn's CHITA so you can start evaluating Hurricanes on your own terms. If you are an emergency manager along the Gulf Coast or Atantic States, then this is a must read. While the word is focusing on terrorism, a more likey event is the return of more active hurricane seasons. 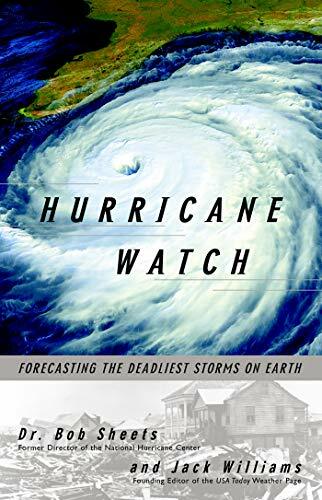 From the early days to work by Dr. Bill Gray and others, Hurricane Watch reminds us that while forecasting has improve, Hurricanes still have many secrets we have yet to understand. I'm not even quite finished this book and I'm total impressed and ingrossed with it, and sorry to see that I'm near the end. 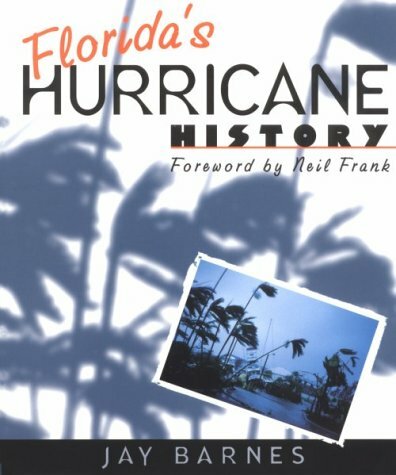 It not only describes things in simple terms but it also traces the history of hurricanes with various accounts that are entertaining and/or sobering. In this way it caters for all types, those who want the facts and those who don't mind it being done in a story-like fashion. This makes it refreshing when compared to 'stuffy' text books on the subject. A very exciting and enjoyable book!! Not many books chronicling such subjects as the immense power and effects of nature, so well balance facts relative to and its influence on us. A detailed view high up through the eyes of mother nature provides account of the lethal choreography of her daughters most dangerous dance as she makes entrance to the stage by way of North Carolina. The author, an aquarium director in coastal North Carolina, does a remarkable job (especially for a non-meteorologist) of documenting the impact of every hurricane which affected North Carolina since 1875. Each storm -- including some hurricanes that made landfall elsewhere but passed across the state -- gets its own narrative which variews in length according to the storm's impact. Fran (1996), the costliest and fifth deadliest hurricane in state history, gets big coverage with 32 pages. The chronological stories of each storm are spread across several chapters covering most of the book, which are in turn sandwiched between a general introduction to hurricanes and a chapter on Nor'easters. The final few chapters -- on Nor'easters (cold core winter cyclones), hurricane effects on fauna, potential for future danger, and hurricane safety -- appear roughly cobbled together as if there were no logical order for them. Still, the collection of stories of animals' life and death in North Carolina hurricanes is quite interesting, and unique among books dealing with the impact of weather phenomena. For a historical volume, the writing style is engaging, vividly descriptive and occasionally humorous. Nowhere else in weather related literature have I read about local speech patterns ("Hoigh toide on the sound soide") together with graphic descriptions of mayhem's aftermath, like "...battered caskets and bones lay scattered, unearthed by the hurricane's menacing storm surge." Some of the stories of human survival, heroism and death in hurricanes are more bizarre and ghastly than fiction could conjure. These tales, together with an accurate factual record of the storms and a rich collection of black and white photos, show the tremendous effort and attention to detail by Barnes in his historical research. The book does suffer aesthetically from its drab printing, with only cover color, by UNC Press. Such obvious parsimony, unfortunately, exemplifies the policies of many university-affiliated presses. But since substance trumps form; I deem this to be a fine non-technical addition to the literature of any hurricane enthusiast. Once again Jay Barnes has outdone himself with a very informative and educational book about the destruction and aftermath that Hurricanes cause to the east coast of the United States.Being a resident of North Carolina for the forty seven years of my life I can relate to his book with personal conviction and enthusiasm.I have experienced numerous hurricanes on my own from up close and from afar and Jay has captured these moments and others with remarkable exactness!This is a must read book for anyone interested in the unbelievable effects of Mother Nature at her best being for personal information or educational purposes! It is obvious Mr. Barnes has done his homework throughly and I anxiously await further editions and updates of future endeaveors that Jay Barnes has to offer! 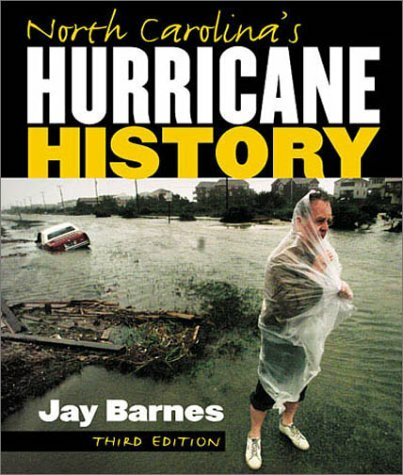 We have read Jay Barnes' Florida's Hurricane History and enjoyed it so much that we wanted to read the NC book. We found the newest edition that includes Floyd in 1999. What a disaster! The book reads very well, and is full of interesting facts and amazing stories about Floyd and other storms. The photos are incredible (one of the things I liked about the Fla. book). I also like the charts in the back that list data for each storm. Weather buffs need both of these books. Every adult who lives within 50 miles of the Atlantic or Gulf coasts of the United States should read Killer Cane. Hurricanes are deadly, but quiet hurricane seasons in the past decade have given coastal residents a sense that hurricanes won't hit them. But they will. I survived two hurricanes, and they were pure horror. They were Category One hurricanes, the weakest kind, but they tore off roofs and smashed property like gigantic maniacs. 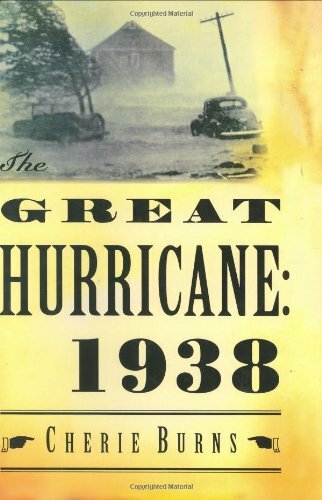 Robert Mykle's fine book describes a Category Four hurricane that came ashore near Palm Beach in 1928. A Category One hurricane causes some damage, while a Category Five causes complete destruction, so you can imagine the strength of a Category Four. But destruction didn't stop at the coast. The hurricane moved inland to rip into the farming communities at the south end of Lake Okeechobee, 40-50 miles inland from Palm Beach. Winds of 150 miles-per-hour and more than 12 inches of rain destroyed almost everything in its path, and killed some 2000 people. The real cost of this disaster is the effect on its victims, and Mykle introduces us to many of the doomed families as they go about their business, not knowing that the day after tomorrow will be their last on earth. We come to care about them. We mourn those killed and feel the suffering of survivors in the aftermath. This is a great strength of the book, and Robert Mykle has done a terific job of presenting a harrowing story in human terms. It is well worth reading. In the early period of the last century three great hurricanes devastated Florida. Miami was hit in 1926, The everglades in 28, and the keys in 35. The Miami storm is known for finishing the land boom and the keys storm is famous for being the most powerful hurricane ever and killing WWI veterans on work detail. Mykle's book examines the least well known of the three, the storm of 1928. The everglades storm actually killed the most people by far, but is less well remembered because most of its victims were poor and black. But the hurricane makes for a fascinating story in any case. 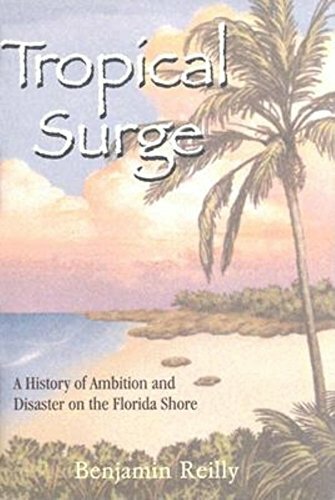 Mykle tells it through the lives of several everglades families who experienced the calamity, often suffering considerable loss. He covers the disaster from several angles, and so there is something in this book for everyone. My one fault with this book is that the author focuses a little too much on the individuals and not enough on other features of the catastrophe. We hear little, for instance, about what the hurricane did to Puerto Rico. But this should not dissuade anyone from buying the book on the killer Cane of 28. I grew up in this area during the forties and fifties.I attended high school with many decedants of the victims and survivers of this disaster.The book seems to be quiet accurate and hits the nail on the head .It amazes me that it has to be the best kept secret of all diasters.I live in the neighboring state of Georgia,and when I ask people in this area about the storm no one has a clue.At the time it was the third worst disaster to have occured ,in terms of lives lost. What a shame. There has been quite a glut lately of weather-related disaster books, and the quality of these books has varied widely. "Killer 'Cane," though a bit rough in places, is one of the better efforts in the genre. 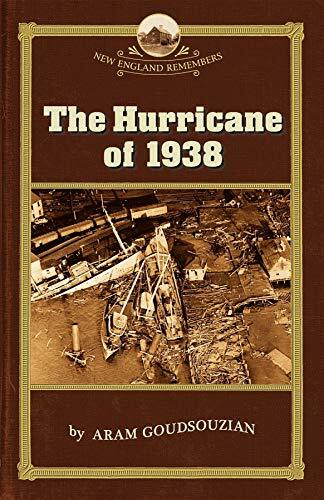 The book tells the story of the 1928 hurricane that devastated the Florida Everglades, killing perhaps as many as 3000 people when the Lake Okeechobee Dike gave away. Author Robert Mykle sets up his story well, providing a generous helping of historical background and meterological facts. Mykle spends much of the first half of the book describing everyday life in the Everglades in the early 20th Century. He particularly focuses his attention on several families who had settled there hoping to scratch a decent living out of the "mucklands," as drained Everglades swamps were called. Mykle the shows how poor forecasting, inept politicians and ignorance of the landscape combined with sheer bad luck to cause a tragedy that could have been greatly diminished if the victims had been given adequate time to evacuate the lowlands. Mykle is a decent storyteller, but the book does have a couple of drawbacks. Mykle largely ignores that great devastation that the 1928 storm wrought upon numerous islands in the Caribbean, including Puerto Rico, giving these other disasters only a cursory mention. He also has a tendency to repeat himself in the text and portions of the book are very poorly edited. 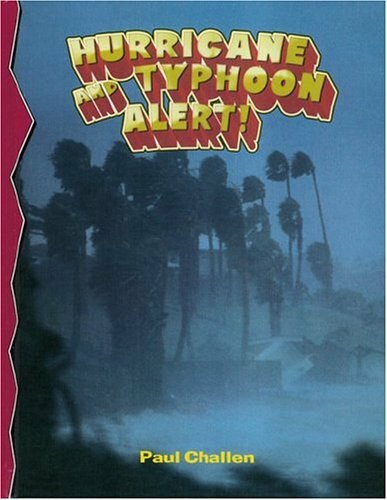 Overall, a readable an interesting book for those who love a goodweather-related disaster tale. "Killer 'Cane" is an excellent book, written in a fresh and exacting style, with the details that make it come alive. 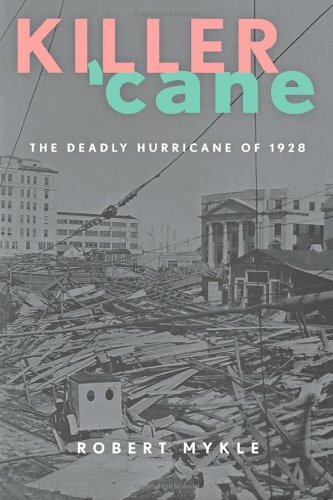 Like the other great books of the disaster genre, like Walter Lord's "Titanic" and the Jim Bishop books about presidential assassinations, "Killer 'Cane" takes the reader right into the scene: Belle Glade, Florida Everglades, 1928, when a monstrous hurricane swept in without warning. The narrative lacks fire and needs more context. 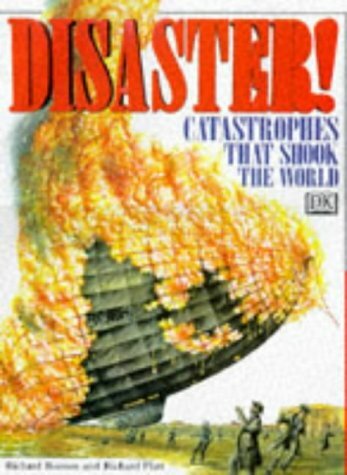 I love disaster books, and have since I was old enough to read chapter books. Early in my relationship with Amazon, I did a subject search on different disasters, and was suprised by the meager selection. There really are very few readable first-person/journalistic book-length disaster accounts available. We are indeed fortunate to have first-rate books like "The Perfect Storm," and "Isaac's Storm" come out so close together. It is also the reason I must be kind in this review. These books remind you that you read books like this for two reasons. One is to participate vicariously in an intense experience. The second is to further our understanding of science--both social and physical. How does a disaster develop? How do we react to it? Were the right decisions made? This book, written before the others I mentioned, does not fufill any of these purposes very well. 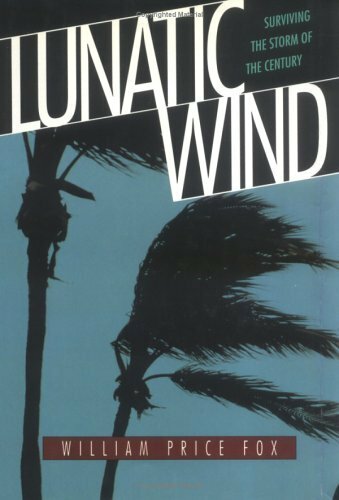 "Lunatic Wind" is essentially a first-person account of the passage of Hurricane Hugo through South Carolina and how it affected a man, his two teen-aged sons and their grandmother. The account is very parochial and not very insightful. 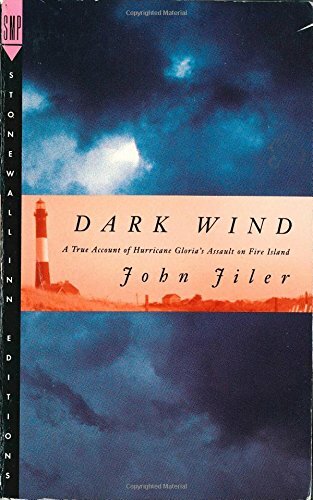 Perhaps the most memorable passages are the descriptions of the two young men, doggedly ignoring and resourcefully dodging all attempts to keep them from surfing in a hurricane off a barrier island. If anything proves the late development of judgement skills in the adolescent this is it! One hungers for comprehensive journalistic accounts of important disaster events like Hurricanes Hugo and Andrew: "How did the storms develop?" "Were they predicted accurately?" "How did people (and institutions) survive?" "What was the long-term impact?" But they are apparently rarely attempted. Which makes books like "Lunatic Wind" valuable. "Lunatic Wind," should be seen as a primary source, a building block, to an eagerly anticipated comprehensive treatment of Hurricane Hugo. Hello....what book is this? Is it about hurricane Hugo? I need lots of info about hurricane Hugo! Now! What a great book. We've enjoyed the stories of the memorable storms like Donna, Andrew, and Opal and the effect theyve had on generations of Florida residents. The 1926 Miami and 1928 Okeechobee are well covered. Also very interesting reading on those storms we've never heard of. The photographs are stunning-and frightening. Its organized well, and the reading is not too technical. It stays on our coffee table. Finally, a comprehensive collection of Florida storms. In late September 1955, a tropical depression in the Caribbean became the 10th hurricane of the season--Janet. The Naval Air Station in Jacksonville followed standard procedure, sending out hurricane hunters from Gauantanamo Bay, Cuba, on what should have been a routine reconnaisance mission. But Lt. Cmdr. Grover Windham and his crew of eight never returned from their flight into the eye of the storm. What happened? primitive state of weather prediction at the time. There was no Doppler radar, no satellite imaging, no global-positioning systems. The twin-engine Neptune plane was outfitted witht he cutting-edge technology of the day---butu meterologists used pencil and paper to make graphs, and pilots still looked at the waves below to estimate their position. Crew Five really didn't know what it would find with Hurricane Janet. It's final radio transmission at 8:30 a.m. ended, "Beginning penetration." David Toomey's well researched book has an astounding wealth of information that is both stunning in detail and fascinating in every aspect. 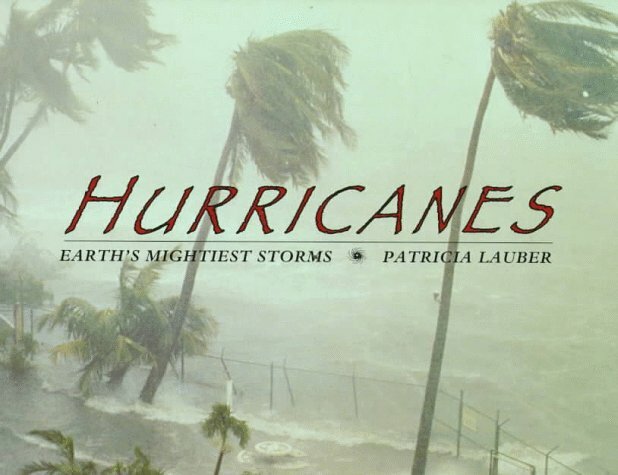 This book drew my attention because of my own obsession with hurricanes, having been through several in North Carolina,(to include Fran, Bonnie,and Floyd ). During Floyd we were in the eye of the storm at night and went out and looked up into a clear, silent sky and watched as suddenly a hurricane hunter flew overhead, the only sound at all. David Toomey details the thoughts that went into the changing views of weatheras a philosophy and the evolution into the science of meteorology. This transformation from philosophy to science is interesting. Weather phenomena was thought to be only a local event and the idea that weather traveled from one area to another was not even imagined. The idea of weather patterns was a foreign concept as well. Toomey details this transformation which spans the continents, including battles of very differing ideas. The leap in the quantity of scientific data and reliability of it's use from the the 1950's to present time is amazing. This scientific evolution was also a big push in the development of computers, originally called a "calculating clock"(in 1623), then "stepped reckoner" (1673), and then a giant leap to the "Difference Engine" in the 1830's. This subject in and of itself would have been a great subject. 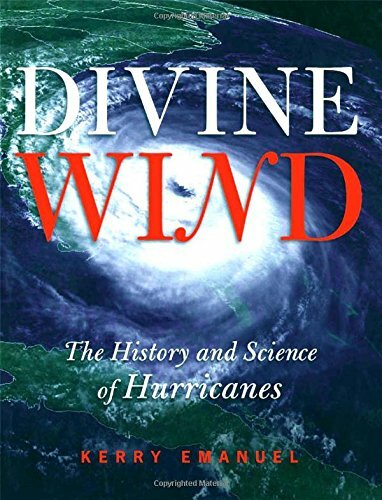 Throughout all of this history of meteorology, the key aspect of this book centers on the people that flew into the hurricanes to obtain the data that would revolutionize hurricane forecasting. Their lives are opened and the picture that is viewed is of normal, everyday men. They saw their mission in life and pursued it, even in the face of daunting odds and tremendous danger. David Toomey has written a book that covers the world of hurricanes from the science to the very human and intimate aspects that surround them and has done so in a way that both educates and captivates your attention. This glimpse into 1940's and 50's Navy airmen's exploration of hurricanes is fascinating reading, from a scientific and a human perspective. I've never read nonfiction that captured my imagination and attention so well. It's amazing to me that this story hadn't been told before. How did we come this far into the space age without knowing that people have been flying into hurricanes to study them since the 1940's? And why did those particular people believe they could, without sophisticated instruments, fly into hurricanes and come out again? This book provides suspense while informing the reader of historic events surrounding the world of weather forecasting. I look forward to reading what David Toomey writes next. Before satellite weather photos, the main way of getting information on Atlantic and Caribbean hurricanes was to fly airplanes into them. It is still being done, for it is still the best means for getting the exact location of a hurricane and details such as its speed and direction. In the more than half century of countless such patrols, only one aircraft and crew have been lost. 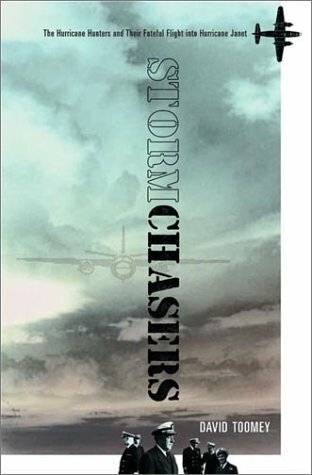 Their story is told in _Stormchasers: The Hurricane Hunters and Their Fateful Flight into Hurricane Janet_ (Norton) by David Toomey. Toomey has gone back to look at Navy documents, interviewed members of the former Weather Reconnaissance Squadron to which the flight belonged, and talked with members of the crew's families. The book has a framework of a reconstruction of the mission of the September 1955 flight, and does so with as much detail as could possibly be gathered so many years on. The story might in itself be a little thin, but Toomey has as well given a broader picture of the history of hurricane science and general meteorology. Reports of hurricanes at sea began to become practical after ships got radios; the first wireless report of a hurricane was in 1909. The program of reporting storms was a victim of its own success; ships' captains so well knew the danger of hurricanes that one report would send all ships steaming away from the source, making further data collection impossible. No one seriously proposed flying an airplane into a hurricane, because no one knew what such a flying environment would be like. The first flight into a hurricane was performed on a bet, in 1943, and afterwards other pilots wanted to try, and meteorological data started being taken. By 1955, the Weather Bureau, Navy, and Air Force had been sending official flights into massive storms for about a decade. The mission led by Navy Lieutenant Commander Grover B. Windham into the dangers of Hurricane Janet in the Caribbean took place in a PV2 Neptune, which looked a little like the legendary B-17, and could take a similar amount of punishment. Toomey has recreated the flight from its beginning, out of the base at Guantanamo. He can only speculate about its end; there was a final transmission from the plane, "Beginning penetration," which meant they were entering the storm. No trace of the plane or crew was ever found, and Toomey has written three possible fatal outcomes. The details of the flight itself are well presented (and may well remind readers of The Perfect Storm), but the digressions into the important history of meteorology are fascinating. We are invited to admire that genius of amateur science, Benjamin Franklin, who noted in 1743 that a storm seemed to have tracked from Philadelphia to Boston, and who was the first to speculate that such storms travel along the country but contain winds different from their overall direction of movement. There were attempts in the last century to track a hurricane by seismograph. The reduced pressure would lift up the Earth's crust of the ocean floor, and there was some success in triangulating earthquake-type shifts detected at different stations. We no longer call hurricanes exclusively by women's names, but even in 1955, the practice was not uncontroversial. Forecasters excused themselves by saying that "like women, every hurricane is different, they are generally unpredictable, and they can make men feel small and inconsequential." Besides, no flier wanted to declare that he had "penetrated Charlie;" but in 1979, men's names started being used as well. _Stormchasers_ nicely contrasts chapters recounting the sad fate of the fliers into hurricane Janet with chapters containing an often inspiring story of scientific enquiry. For anyone who has ever been fascinated by airplanes, by meteorology, by weird and anomalous weather, "Stormchasers" is an excellent read. And for anyone who has ever been fascinated by weird and anomalous proofreading, it's even better. It all began to unravel on page 49 when I was told of the airplane "hangers" being constructed in Jacksonville. My first image was of gigantic wire objects on which airframes were hung to keep from wrinkling. When the word appeared again a few pages later, I finally checked my dictionary, aware that words sometimes become part of the language through years of misuse. Such was not the case. Apparently the proofreader figured this out after a while too, for as the book moved forward, "hangers" transmogrified into "hangars" and all was well. Except, later, in reference to the hurricane hunters, I was told that no one's interest had been "peaked." And all the time I kept saying to myself, "poor David Toomey." Here's a man whose powers of research and attention to detail seem inexhaustible, whose ability to reconstruct the events of that day (as well as the hundreds of years of storm study that preceded it) are beyond dispute, but whose reputation is ambushed at every turn by sloppy proofreading. Forget the blizzard of 1978. New Englands storm of the century was the hurricane of 1938. Sometimes called the Long Island Express because it rolled through there on the first day of autumn, the hurricane tore northward straight through the heart of New England, wreaking death and destruction with virtually no warning. The storm registered peak sustained winds of 121 miles per hour, and one gust registered 186 at the Blue Hills Observatory outside Boston. Seawater killed plant life 20 miles inland, and ocean salt sprayed windows in Montpelier, Vermont. An estimated 275 million trees were uprooted or damaged. About 20,000 miles of power and telephone lines were knocked down. Along the shore, 7,000 cottages and 2,000 other houses were destroyed, and the human death toll was estimated at 680. More had died in previous U.S. storms, but given the concentration of population and development on Long Island and in New England, the hurricane of 1938 was the costliest natural disaster in American history to that time. 31. Hurricane Survival Guide: How to Prepare Your Family and Home for the Next Hurricane? Engaging historical narrative covering many significant events in the history of south Florida, including the major developments and setbacks in the early years of Miami and Key West, as well as an in-depth look at Henry Flaglers amazing Overseas Railway. 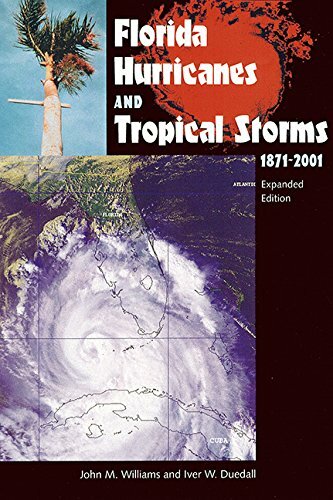 A comprehensive chronological guide to hurricanes, tropical storms, and near-misses to impact Florida since 1871, this compact volume contains the widest possible range of statistics and information for the 181 tropical cyclones to reach Florida, 72 of them with hurricane force winds, 78 as tropical storms. Accessible and easy to understand, Florida Hurricanes and Tropical Storms explains the terminology used by meteorologists, demonstrates the use of the Saffir/Simpson Scale, and explores the historical and geographical contexts of each hurricane and tropical storm. A glossary defines all technical terms. Additional features include statistics for each hurricane and tropical storm, first-person eyewitness accounts, one-of-a-kind photos, 10-year tracking charts, and a hurricane preparedness checklist. Readers will also gain a better understanding of evacuation procedures and of what to expect in terms of property damage. References and a list of Internet web sites point readers to additional sources of information. It was very cool! It had lots of information and awesome pictures. I like the part about the black plague. This a very good book about disasters. I wish they had a sequel to it. This is an excellent book for teachers and librarians to share with a group. The pictures are bright and detailed and there is a lot of useful descriptive information. The book could be used to initiate discussion about the natural disasters as well topics in history, geography, and science. A must for children and teachers!